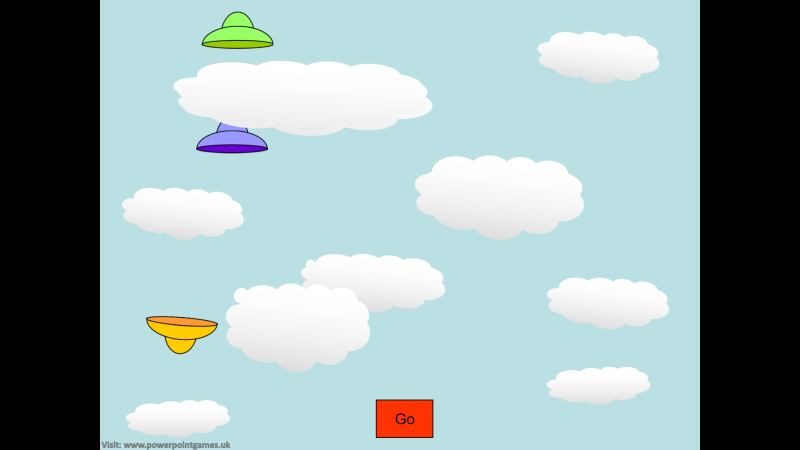 Three alien spaceships fly across the screen and all you have to do is click on them to blast them out of the sky. Your tally of hits shows up at the bottom of the screen. Try to shoot down all three before they disappear. Any that are left will cross the screen again when you hit the Go button. 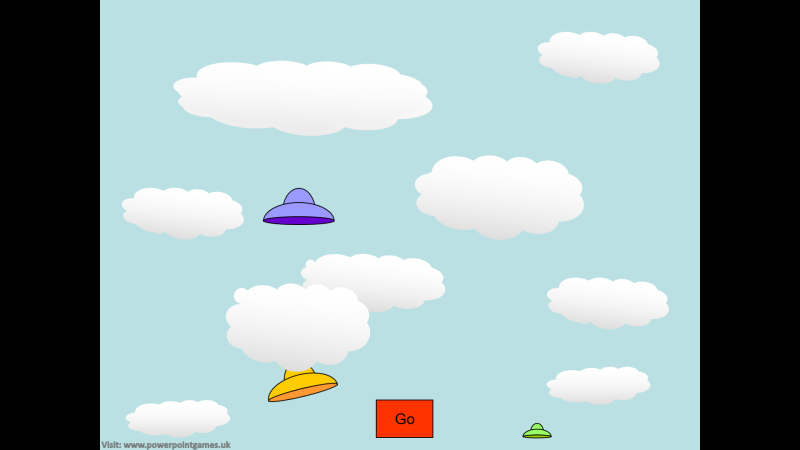 One of my earliest games made on PowerPoint 2003 after I discovered the use of multi animations and triggers and also using objects placed outside of the screen area. (An initial realisation of how you can ‘Think outside of the box’ with PowerPoint! ).